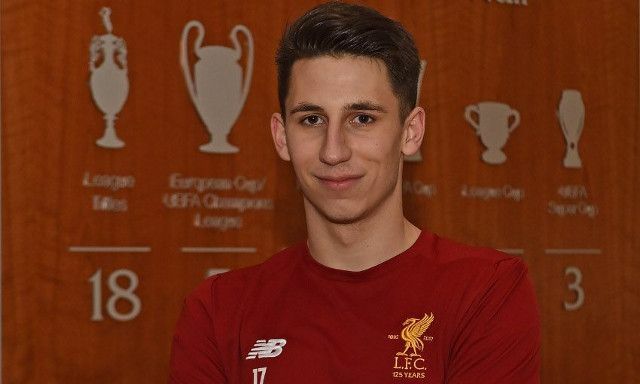 Kamil Grabara has left Liverpool to join Danish side AGF Aarhus on a season-long loan deal in search of regular first-team football. The goalkeeper has often been tipped as senior potential since arriving on Merseyside from Ruch Chorzow for a fee in the region of £250,000 in 2016. His bright first impression saw him earn an early promotion to the U23s as well as a five-year contract extension in December 2017. Grabara was rewarded with his senior debut in the Reds’ 4-1 victory over Manchester United in the United States back in pre-season. He has now departed on a temporary deal for the remainder of the campaign, as confirmed by Liverpoolfc.com. The Polish shot-stopper has shared the workload with Irishman Caoimhin Kelleher for the U23s so far this season, making six starts in the opening 13 Premier League 2 fixtures. His departure could now see Kelleher earn a maiden call-up to the senior Liverpool match-day squad for Monday night’s FA Cup tie against Wolverhampton Wanderers at Molineux. Jurgen Klopp has already confirmed Simon Mignolet as his starter for the clash and is expected to rest Alisson in light of Premier League priorities.